Our trip to Little Cayman Beach Resort was October 5 - October 12 and was an excellent scuba trip. A big "Thank you!" to Greg and Gail Carter of Liquid Diving Adventures for organizing this trip. 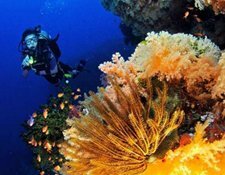 Little Cayman Beach Resort and their dive op, Reef Divers, get our highest recommendations." Bula dive buddies….! Voli Voli Beach Resort is back with a great deal for landlubbers who want a taste of the best Fiji can offer without breaking the bank. VoliVoli is offering a stay 5 nights package and pay for 3 nights. This package includes 5 nights air conditioned studio vale, tropical breakfast, all non-motorized sports and R/T airfare from Los Angeles (LAX-NAN). This package is $1512 per person double occupancy. Add a full meal for $62 per person per day. 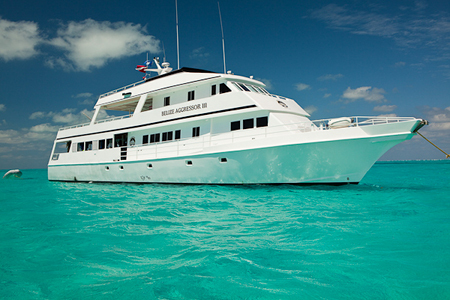 Add a 4-tank dive package for $324 per person. Valid for travel until 14 December 2014. There are some holiday blackouts. Contact us for availability and additional details. Tucked away on the northernmost tip of the island of Viti Levu, you'll find Volivoli Beach - one of Fiji's best kept secrets. 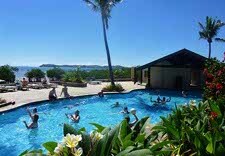 This wonderfully relaxed family friendly beach resort is located in a truly unspoilt and spectacular corner of Fiji. With a perfect blend of white sandy beaches, a large swimming pool, coral reef, an exciting range ofwatersports, a sunny climate year round, and friendly Fijian hospitality and culture, a beach holiday in Fiji doesn't get much better than this! An energising mix of sporting activities are available for guests, including snorkelling, kayaking, game fishing, beach volleyball and some of the best diving in Fiji. Ra Divers, our fully certified SSI & PADI Dive operation, offers great value dive packages for beginners and experienced divers. Divers will find a variety of marine life and fascinating shipwrecks nearby, just waiting to be explored. You'll also have the chance to sample Fijian culture at our traditional dancing performances, take part in a Kava ceremony or enjoy a boat trip to a traditional local village. Alternatively, you can simply lie back and top up your suntan on the stunning white sand beach. This special deal is $1350 per person double diver occupancy, plus ask for our discount when you book this trip! "We spent 10 amazing night’s at Wananavu. We we’re there for our 20th anniversary and the staff from the resort and dive center made it special. We saw shark’s on 12 out of our 14 dives and on most of those dives we saw both white tip and grey reef shark’s. I will be back to Wananavu as soon as possible and I will book my return with Liquid Diving Adventures!!"